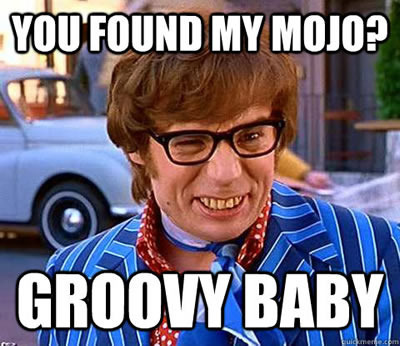 The word Mojo is a noun originally used to mean a magic charm or spell or an amulet, often in the form of a small bag containing magic items worn by adherents of hoodoo or voodoo, or it could mean a quality or some ability that brings good luck or helps you be good at something. I feel like I left my amulet somewhere and I haven't found it or felt it's effect for a some time. It's weird how you can be mentally high and be happy with a days photography and come back and just hate everything that was shot. I am sure that we have all had those days when we aren't 'feeling it', not just with photography, but life, work and generally everything. Unfortunately, most of us, don't have the luxury of being able to sack everything off and spend the day with Netflix and a bottle of whisky. I have had this feeling before and although I can't remember anything that I did to climb out of this 'funk' I know it will eventually dissipate and something will click again and the concrete wall blocking my creativity and self esteem will be broken through. "Start with one small win." Apparently starting with one small win can help restore confidence and if you repeat these small wins you will be able to complete project that seemed impossible. My feeling is that this is probably a good way to start, complete a small task to the best of my ability. But then this advice is more for work, than creativity. More to the point what is a creative win?